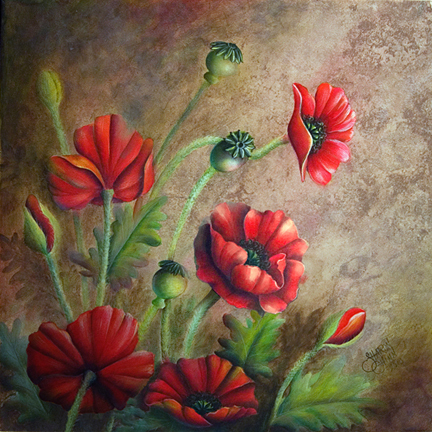 The poppies are painted on a 12" ceramic tile in a natural stone color, but could be painted on a surface of your choice such as a 12x12 gallery wrap canvas. I've included instructions for painting a background similar to the stone tile. The project is painted with Traditions Artist Acrylics, but conversions are provided for Americana. Packet includes large color image, line drawing, and step-by-step instructions.